The big booty socialite Vera Sidika Flaunts her new car from a New Boyfriend. - Bana Kenya News, Real African Network Tubanane. 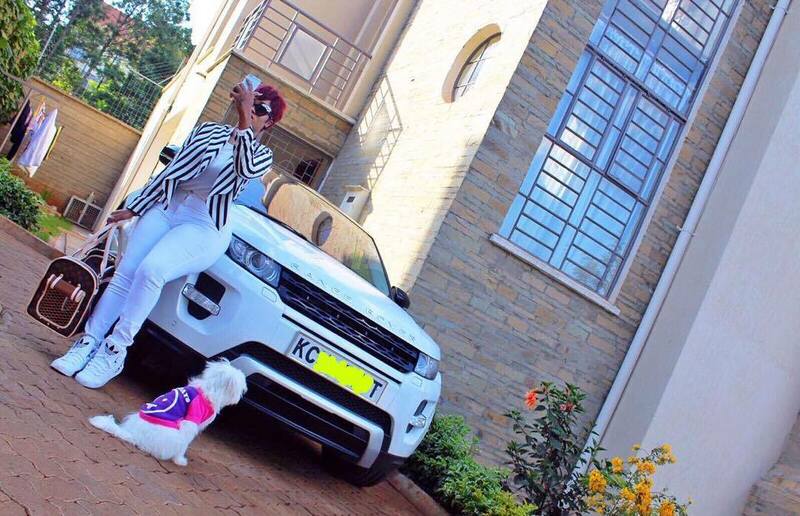 Home Gossip The big booty socialite Vera Sidika Flaunts her new car from a New Boyfriend. The big booty socialite Vera Sidika Flaunts her new car from a New Boyfriend. 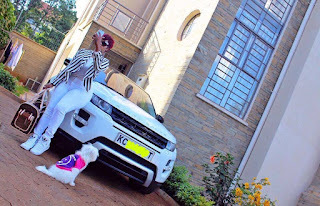 Vera Sidika flaunts her new Range Rover Vogue to the haters who always talk ill. She also introduced her brand new lover after she was thrown out by the Nigerian Tycoon. Vera now introduced the Kenyan Man who licks her P***y. According to the sources, the young man bought a brand new Vogue for her at least they rhyme. The young man is a son of a very rich politician in Kenya and he studied in one of the universities in the United Kingdom. She has been seen making men from Thailand and Russia wag their tails after she visited Moscow and Bangkok. The Hot Kenyan socialite is preparing to launch megaprojects in Kenya. According to the bana sources, She is preparing to launch a large boutique mall here in Nairobi which will serve East Africa. Another project that she is eyeing to do in Kenya is supporting youth and fans who have supported her in her socialite carrier. A video showing that she was s£xually satisfying herself leaked online. The video shocked many as they believed Vera has enough men to do such and act. The explicit video shows how she get R0mant!c when she does it to herself. This Video below was shared by Trendingpost Kenya.